Yes, Virginia: Santa WORKS OUT before the big day! At the Jingle Bell Run in Somerville, MA. climbing up and down millions of chimneys on Christmas Eve. in Somerville, MA held a few days before Christmas. Santa and these other runners were just behind me. 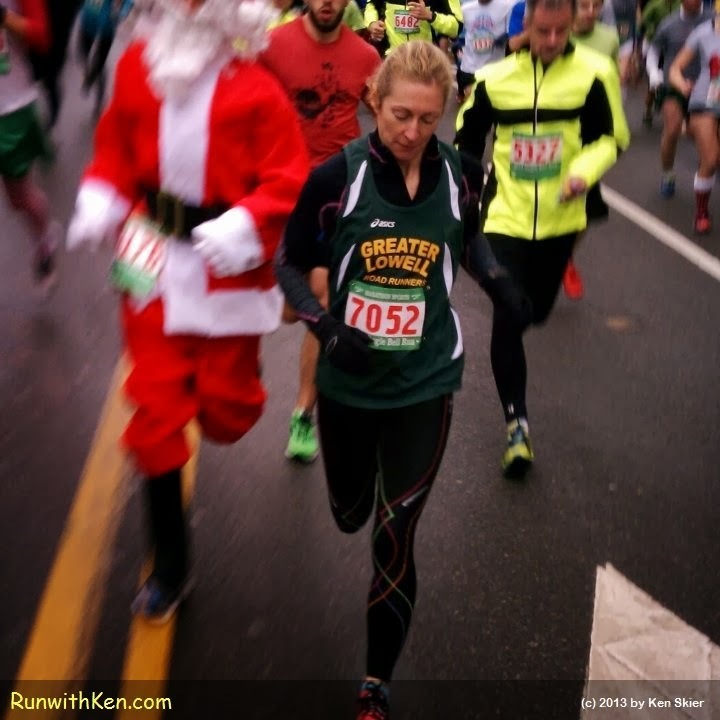 Santa was sprinting at a very respectable 7-minute pace. (Yes, I was running,. Didn't stop or slow my pace. I wanted to speak with him after the race, but he was gone. and from way up above me, I heard a booming Ho, Ho, Ho!